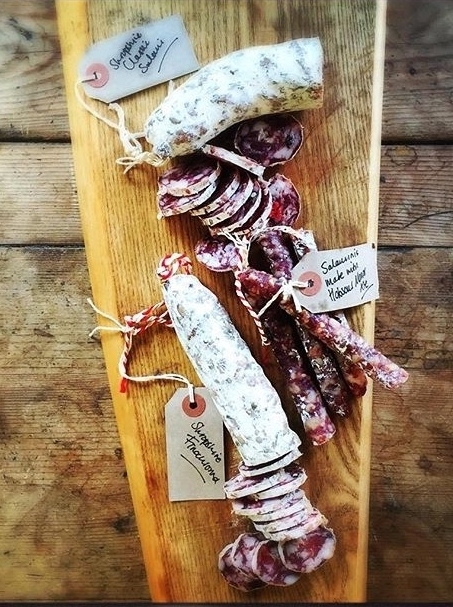 Great food and fantastic wine will always be the perfect match but we have to give credit to the good people of CSons in Shrewsbury for being the first people to recognise that locally produced charcuterie deserved an accompanying wine. On their recommendation we got in touch with each other and decided to bring our products together. It was clear straight away that we were on to a good thing and since that first tasting we haven't looked back. It has been an incredible year getting to know the processes behind the passions and we're eager to share our combined knowledge with you. We will be featuring our range of products at a variety of events throughout the year and would love you to come and say Hi. If you want to know more or hire us for a tasting evening please feel free to contact us on info@paso-primero.com or will@shropshire-salumi.co.uk.